Robert Jackson was born in England in 1960. After emigrating with his family to Australia at the age of three, he spent his formative years in Papua New Guinea. He graduated from La Trobe University in 1993 with BA Hons in linguistics and later completed a Grad Dip in composition at the Victorian College for the Arts. As well as being an accomplished saxophonist and guitarist he is a juggler, actor and street performer. He has a passion for the study and practise of improvisation and was a founding member of the Melbourne Improvisers Association. Recent career highlights include a 50 saxophone fanfare for the Melbourne International Festival 1993, a member of Chamber Made Opera's The Two Executioners and national touring with Offenbach's Circus Dog Show. Sarah de Jong is a composer of music for theatre, plays, dance, radio, performance, television and film and has composed major scores for some of Australia’s leading and alternative theatre companies. Several of these theatre pieces have toured within Australia and internationally to Europe, England, Japan, Venezuela and New Zealand. She won the 1990 Prix Italia with an ABC-produced radio play Summer of the Aliens. Elena Kats-Chernin was born in Russia in 1957. She migrated to Australia in 1975 and studied at the NSW State Conservatorium of Music. Her awards and scholarships include a National Fellowship for composition and a DAAD Scholarship for study with Helmut Lachenmann. While in Europe she composed works for various ensembles and orchestras as well as numerous soundtracks for theatre productions in Berlin, Vienna, Hamburg and Bochum. Her recent awards include the Peggy Glanville-Hicks residency, the Jean Bogan Prize for piano solo Charleston Noir and the 1996 Sounds Australian Award for Best Composition for Cadences, Deviations and Scarlatti. Elena has created soundtracks for a number of films including Clocks and Smash by German filmmaker Kirsten Winter. In 1997 ABC Classics released her portrait CD Clocks. Neil Kelly writes primarily for voice and small ensembles. His interests include the music of Alban Berg, the cultural context of early twentieth-century music and the composer-performer relationship. He is a lecturer who also enjoys playing the electric bass. Michael Knopf was born in Minnesota, USA in 1955, he was raised and educated in Kansas. He studied composition, music education, and jazz performance at Wichita State University before immigrating to Australia. He is a regular performer on guitar, blending techniques in a unique style that draws on jazz, classical and flamenco styles, and many of his compositions have been written for this instrument. He has also written works for students, large works for orchestra, voice and orchestra, much music for choir, pieces for various chamber ensembles and for solo instruments. He sometimes uses aleatory and improvisational elements in his compositions. Bonu Koo was born in 1958 in Seoul, he studied composition with In-yong La at Yonsei University, Seoul, and with Erhard Karkoschka at the Musikhochschule Stuttgart. His roles include Vice President of the 20th Century Music Association and the Korean Electro–Acoustic Society, President of the Korean New Music Foundation and lecturer at Sungshin Women’s University. Bonu Koo’s works reflect his interest in melodic phenomena, informed by his study of Folk music and the work of John Cage, Karel Goeyvaerts, Louis Andriessen, Nicolaus A. Huber and Yuji Takahashi. Stephen Leek is a Queensland-based composer who writes for dance, theatre, education, and performances for young people. His composer residencies include the Sydney Children’s Choir, the National Music Camp and the Tasmanian Dance company. He is the founder and artistic director of the ensemble VoiceArts and is a recipient of an Australia Council Fellowship. Rainer Linz is a composer whose work spans a variety of forms including instrumental, radio, electronic, vocal and theatre music. He has collaborated with both visual artists and writers and his work has been seen at the Sydney Biennale and the Melbourne International Festival. He is co-author (with John Jenkins) of Arias - Recent Australian Music Theatre and, for many years, published the new music journal NMA. Rainer’s recent work includes appearances at Ars Electronica and the Glasgow Fotofeis festivals. Rob Lovett has a background as a musician in a number of Australian rock and R&B groups including the The Wild Cherries and The Loved Ones in the 1960s. He has toured and recorded widely since that period. His recent output including works for guitar, piano, and string quartet have been performed at the National Gallery of Victoria, Geelong Arts Centre and broadcast on national radio. Raffaele Marcellino graduated from the Sydney Conservatorium of Music with merit in 1985. Since then his music has been performed by prominent Australian ensembles including Synergy, Pipeline, The Sydney, Adelaide and Tasmanian Symphony Orchestras, The Sydney Front, The Song Company and the Seymour Group. Raffaele has followed an interest in music theatre and opera in broad and varied media. He currently lives in Tasmania where he is on the staff at the Tasmanian Conservatorium of Music. Since completing formal composition studies, Christine interests have lead her to work in both theatre and dance, and several of her pieces have been recorded and broadcast by the ABC. Her works have been performed by a variety of performers and ensembles including the Ormond College Choir and the Astra Chamber Music Society. Scott McIntyre studied clarinet and french horn at the Victorian College of the Arts (1988-90) and then transferred to the University of Melbourne, to study composition with Brenton Broadstock, graduating in 1993. After performing a piece with Sydney based group Coruscations, for live trumpet and electronics titled Zen in November 1997; he started working with electronic music in the field of sampling and dance music. Using members of local contemporary ensemble Cydonia, he has formed another ensemble hybrid-intelligence to promote the use of contemporary music through dance music and sampling with live musicians. Peter Myers’ commissioned compositions include works for Elision, Susan Pierotti, the Gruppo Bruno Maderna, and Pipeline. He is a recipient of the inaugural New Audience, Jacobena Angliss, FAC Young Composers and the Dorian Le Gallienne Awards. His works have also been performed at the Sendai Asian Music Festival and the ISCM World Music Days in Hong Kong. Following music studies at Ewha University (Seoul), Hyo-shin Na studied at the Manhattan School of Music and the University of Colorado where she received a doctorate in composition and theory. Hyo-shin has been active with performance groups in California and has lectured widely on her music and its relationship to traditional Korean music. Her pieces have been broadcast and performed in the USA, Korea, Malaysia, Israel and Germany. A prize-winner in the Voya Toncitch International Competition for Composers (Paris, 1987) and a recipient of the Korean National Award for Composers (1994), Hyo-shin currently teaches at Chu-kye College of the Arts in Seoul. Hartley Newnham's concert and stage experience as a countertenor ranges from medieval to contemporary music theatre. He has composed for theatre, dance and concert performance. He has sung with the Victorian State Opera, in Vienna’s Summer Opera Series, for the ABC throughout Australia, the BBC, Radio France, and Hong Kong Radio, and with ensembles such as La Romanesca, and has also sung and appeared in the films My First Wife and Cactus by Paul Cox. He is the only male performer of Schoenberg’s Pierrot lunaire. Cuong Nguyen teaches piano in his spare time and his interests include research on computer music. His orchestra work Phoenix Dance was performed by the New Zealand Symphony Orchestra and awarded the Yoshiro Irino Memorial prize in 1985. Paul Panhuysen is a sound and visual artist and performer who was born in Borgharen in 1934. In 1965 he founded the artist group "De Bende van de Blauwe Hand" presenting installations, environments and happenings in museums and galleries. He established the Maciunas Ensemble in 1968, a group which is still creating experimental music. Panhuysen's work shows a predilection for found objects and the elements of chance but he has also used ordering systems and mathematical series in many works. Since 1982 he has performed and created his Long String Installations in concerts and exhibitions worldwide including Boston, Washington, Berlin, Moscow, Paris, New York, Tokyo, Kyoto and Barcelona. Paul founded Het Apollohuis in1980 and since that time he has been the director of this internationally orientated podium where artists from divergent disciplines can present their work. Roger Pell (b.1948) is a guitarist who educates at the Riverina Conservatorium, an author of five books on the Education of Guitar and is a composer of guitar music. “Haywood” is a farmhouse located near Wagga Wagga that was built in 1902. The composer writes “I had the good fortune to live on the property for six years. The house had been rented to many creative people, and over time had developed a strong identity. The views from the verandah were of vast lands or of unpolluted night skies.” Haywood is the fourth piece from Pell’s 50 Sequential Etudes for Plectrum Guitar. Rohan Phillips was born in 1971 and currently lives in Bendigo, Victoria. 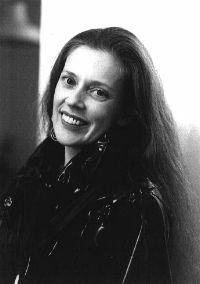 An initial interest in composition was encouraged through contact with composer Helen Gifford. His formal studies at the Canberra School of Music culminated in a Master of Music (Composition) under the supervision of Larry Sitsky. Performances of Rohan’s work include those in Bendigo, Canberra, Melbourne, and by the Tasmanian Symphony Orchestra. Mark Pollard is a widely commissioned composer whose work is regularly broadcast and performed. His work has been featured at the Warsaw Festival, Tokyo Nova Festival and the Liverpool Festival. His awards include the inaugural Jacobena Angliss Music Award, The Albert H. Maggs Award and The Spivokovsky Composition Prize. 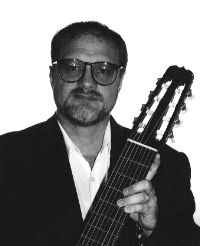 He has completed many works for guitar, including those for ELISION and The Australian Guitar Ensemble. Other works published by Red House Editions include Kissed by the Sun for guitar and flute, and Carillon for Sacha for solo piano. Jeff Pressing is a composer, performer, and researcher of music. He also performs scientific research in a number of areas, focussing on motor behaviour and skill, cognitive science, and the mathematical modelling of behaviour. He is head of the Cognitive Science Master’s Program at the University of Melbourne in Australia and is a senior lecturer in the Department of Psychology. For further details, see the entry under his name in the Grove Dictionary of Music. Haydn Reeder was born in Melbourne in 1944, and graduated from the University of Melbourne in 1965. Postgraduate studies in piano and composition were undertaken at the Graz and Vienna Academies of Music, and later received his Master of Arts from La Trobe University. He considers that strong influences have come from contact with Alfred Brendel, Harrison Birtwistle, and Gyorgy Ligeti. His awards include two Australia Council Composer Fellowships, a fellowship from Arts Victoria, and a major prize in the 1976 Premio, Citta di Trieste. He has been commissioned by leading ensembles in London and Australia and has written a chamber opera and orchestral, vocal and choral works, and is released on a number of commercial CD’s. 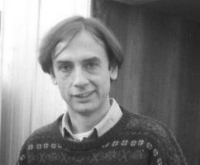 He was lecturer in composition at La Trobe University (1983–88) and co-editor of the La Trobe University Press publication Contemporary Australian Piano (1985). Thomas Reiner has won prizes in the International Witold Lutoslawski Composers’ Competition and the International Boswil Composers’ Competition. He received the Australian Dorian Le Gallienne Award for Composition and the Albert H. Maggs Composition Award. He was awarded the Doctor of Philosophy at the University of Melbourne for his dissertation on the semiotics of musical time. He lectures in music theory and composition at Monash University, and is musical director of re-sound, contemporary music ensemble based at that institution. Together With Tim Flora, he has formed Tree, an electronic dance music duo. His writings include those on techno music, DJ culture, and raves for the Companion to Music and Dance in Australia.